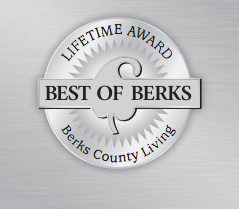 Reading, PA—Murphy Jewelers, with stores in Pottsville, Hamburg, and Saucon Valley, PA, was named “Best Jewelry Store” in the 2017 “Best Of Berks” issue of Berks County Living magazine. 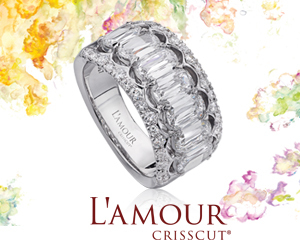 The magazine serves Reading, PA, and surrounding Berks County. 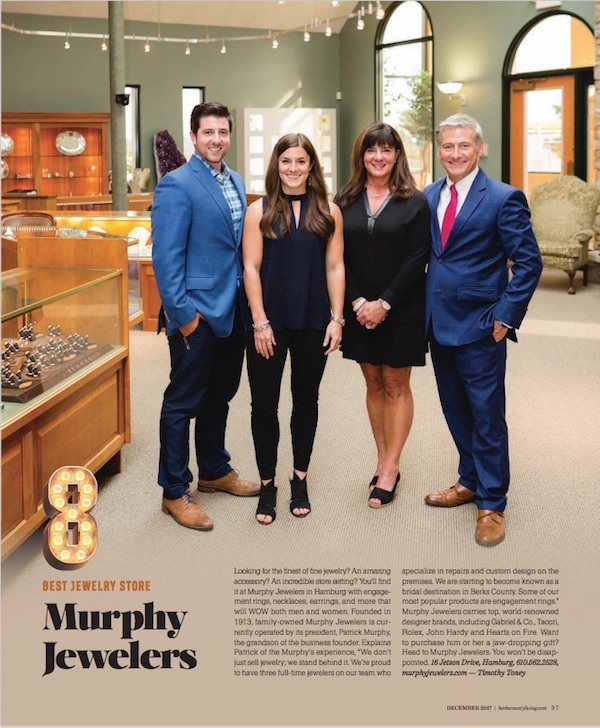 Founded in Pottsville by Frank J. Murphy in 1913 as a jewelry/optometry store, third-generation Murphy Jewelers is run today by Pat (left) and Kim Murphy and their daughter and son-in-law, fourth-generation Mallory Murphy Frick and Cody Frick (below). 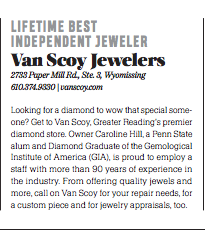 Separately, the magazine also honored Wyomissing, PA-based Van Scoy Jewelers, owned by Caroline Hill, as “Lifetime Best Independent Jeweler.” The magazine’s “Lifetime” category is reserved for businesses that have won an annual “best” award for 10 or more years.